Meet the artists, activists and academics speaking at our groundbreaking symposium. Leah Thorn is a spoken word poet, published through performance, film and anthologies in England and the United States. At the heart of her poetry is the autobiographical exploration of identity and issues of liberation. In collaboration with filmmaker Clare Unsworth, Leah has recently produced two short poetryfilms, ‘count’ about everyday sexism and ‘shhh!’ about the silencing of women through violence and exploitation. Leah leads workshops in prisons that use poetry as provocation and witness. 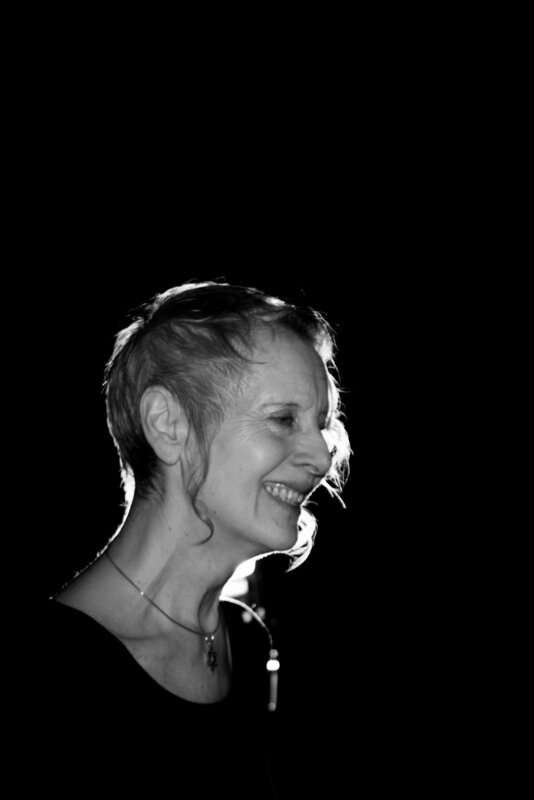 In 2012 she undertook a Winston Churchill Travel Fellowship, visiting women's correctional facilities across the United States with dance and theatre companies and in 2013 she received a Royal Society for Public Health Special Commendation Award for her contribution to Creative Arts and the Criminal Justice System. Judith is a PhD Student, Vice-Chancellor Scholarship Award Holder and AHRC TECHNE Associate undertaking a practice-based research project in the Department of Media, Culture and Language at the University of Roehampton. She is also a qualified MFL teacher with a particular interest in the use of audio-visual resources in teaching and learning. My first short "A Letter Of Love To You" which forms part of my wider PhD project and is a zero budget production, was recently selected for the London Feminist Film Festival 2016. Judith's point of departure is the more recent work of the interdisciplinary thinker Luce Irigaray whose shift beyond a focus merely on the visual towards a perception that ‘seeing amounts to being touched’ (Irigaray, 2004) opens up space in which to explore the role of dimensions of film beyond the visual in relation to feminine subjectivity. In her PhD project she studies the work of selected women filmmakers from around the world to explore Irigaray's ideas in relation to the notion of touch and feminine subjectivity. Her focus is on writing and experiencing with these cinematic texts, thus bridging the gap between writing and practice. Daniela is an experienced global campaigner and activist, and has worked with international NGOs around the world for over 15 years. Her focus is on the environment, animal welfare, women’s & human rights and international development. She holds a UNESCO Master’s degree in Peace and Development studies and a second one in International Political Science and has worked in Latin America, Europe, Asia and Canada. During the so-called refugee crisis she visited women in refugee camps as Head of Mission of Amnesty international Austria throughout 2015 and documented female refugees’ vulnerability to exploitation, discrimination and abuse. Many of these women and girls had fled countries such as Syria, Irak and Afghanistan and were travelling alone or with children, some of them pregnant and many of them subject to sexual and gender-based violence. All women refugees are among those who are particularly at risk and require effective protection. At the same time, many of these women have developed smaller and bigger initiatives to use art as a means to cope with their situation, using creativity to raise awareness and encourage fellow refugees to realize their own potential.